ALEXANDRIA, VA - A spectacular fireworks display over the Potomac River will ring in the New Year as part of First Night Alexandria, the largest family-friendly and alcohol-free New Year&apos;s Eve party in the Washington, DC region. To mark the 20th anniversary of First Night Alexandria, participants will take part in the #FNA20th Instagram challenge and compete for cash prizes and gift certificates. All of Old Town will be buzzing with activity from 2 p.m. to midnight. Afternoon activities and the Sixth Annual Fun Hunt will be followed at 7 p.m. by more than 100 live performances at 22 indoor venues in Old Town and one in Del Ray. 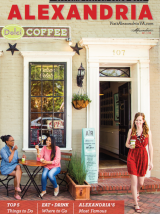 Each year, revelers stroll Old Town Alexandria&apos;s historic streets among art galleries, historic sites, churches and even retail shops that have been transformed into cozy performance venues. Intimate concerts at Principle Gallery and Imagine Artwear will entertain guests while the Torpedo Factory Art Center and the George Washington Masonic Memorial rock with dancing. Old Town&apos;s many restaurants and pubs welcome First Night fans, with a choice of eateries catering to families with children or folks looking for an upscale date night. First Night hotel packages make for an attractive long weekend in Alexandria, and provide a chance to take in even more arts, shopping and culture in the city. A complete New Year&apos;s Eve getaway can be planned at VisitAlexandriaVA.com/FirstNight. The main event begins at 7 p.m. with live performances at 22 indoor venues in Old Town. The city&apos;s most musical evening features rocking rhythm and blues, traditional Irish music, acoustic folk and more. New acts include Virginia native Katherine Archer, whose soaring vocals, guitar and mandolin combine the refinement of a music conservatory background with her Virginia roots, and 2nd Story Band Duo, performing a world blend of jazzy blues, pop rock, Caribbean and Samba rhythms. This family-friendly event is chock-full of activities for kids throughout the night, including face painting, a moon bounce, clowns doing balloon sculptures and interactive games. New this year, children&apos;s performer Groovy Nate will bring his unique blend of music, movement, puppet skits and comedy to First Night, and the Old Fashioned Carnival in Del Ray will feature a ring toss, fortune teller, line dancing and more. The Battle of the Bands returns in 2014, with teenage musicians competing for a paid performance spot at next year&apos;s event. Alcohol-free venues keep it fun and accessible for all ages - and children under 12 and active military are free. Daytime activities kick off at 2 p.m. at locations throughout town, including the sixth annual all-ages, brain-teasing Fun Hunt. Additional First Night activities range from tasting events to interactive art lessons and pet-friendly gatherings hosted by the Animal Welfare League of Alexandria. Returning kid-friendly activities are presented by the Torpedo Factory Art Center, The Art League, the Alexandria Archaeology Museum and Hooray for Books! #FNA20th Instagram Challenge: "Extraordinary Exposures"
The Instagram challenge "Extraordinary Exposures" is a chance for attendees to share their First Night Alexandria experience with others through selfies and win prizes including cash. This contest is open to everyone that purchases an admission badge and attends First Night Alexandria&apos;s evening performances after 7 p.m. To qualify, you must Instagram three selfies at three different venues, and all must include the hashtag #FNA20th. To win, one of your qualifying photos must have the most likes of all submissions, with prizes going to the top three (one prize per participant). More details at FirstNightAlexandria.org. 	Online at FirstNightAlexandria.org/tickets and pick up your badge beginning at noon on December 31 at the Durant Arts Center (1605 Cameron St.) or at the Torpedo Factory Art Center (105 N. Union St.) beginning at 2 p.m. Badges will not be mailed. 	Badges may be purchased at the Alexandria Visitors Center (221 King St.) from December 2 to 31. 	Every venue will sell badges beginning 15 minutes before the first performance. Cash only on December 31 with the exception of the Durant Arts Center (1605 Cameron St.) and Torpedo Factory (105 N. Union St.) which will accept credit cards. First Night Alexandria (FNA) is the largest family-friendly, budget-friendly and alcohol-free New Year&apos;s Eve event in the region. FNA began in 1994 as a celebration of the New Year through the performing arts. Coffee shops, retail stores, hotels, museums and public buildings are turned into performance venues to showcase a variety of talent. First Night celebrations take place around the world, founded in 1976 by a group of civic-minded artists in Boston as a meaningful alternative to traditional New Year&apos;s Eve revelry. To learn more, visit FirstNightAlexandria.org.